The DubHouse now offers Recycled Printed Packaging. These items use either 40% or 100% recycled paper or board. For most products there is no price difference for using recycled material. In addition to using only soy inks our print plants are also FSC certified to ensure proper eco-friendly procedures from forest to printed paper. We also carry unique 100% recycled packaging that is made to the same size and shape as a standard Amaray case, yet it contains no plastic. We call it our Box-Pak. The Box-Pak has the exact shelf space as a standard Amaray case so all retail outlets will accept your product. We can either wafer seal the Box-Paks or shrinkwrap them. The Box-Paks also contain an area that can accompany a thin booklet. 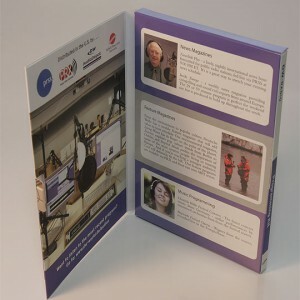 In addition to the Box-Pak we also offer Digipaks with 100% Recycled Printed Packaging board AND plastic trays. For a fast and free quote on Recycled Printed Packaging please fill out the form on the right side of the page and we’ll contact you within hours.